A birthday celebration trike tour doing the 3 Bridges ride was a great way to celebrate Stephanie’s birthday. They come from Brisbane and decided to celebrate in style so came to Sydney. Craig picked them up from their hotel and drove them over the 3 bridges. The first bridge was the Sydney Harbour Bridge where Craig took them around the Kirribilli Loop. They stopped for photos of them on the trike with the Harbour Bridge and the Opera House in the background. The next bridge was the Gladesville Bridge. It has wonderful views towards the city from a western perspective. When opened on 2 October 1964 it was, at 1000 feet (305 metres) the longest span concrete bridge in the world. It remained so until superseded in 1980 by the 416 metre span Krk Bridge in Croatia. We are still proud of it! The third bridge was the spectacular ANZAC Bridge. Seeing it without a metal roof above is a sight to behold, it really is an amazing bridge. Then Craig drove them through the city to their drop off place. 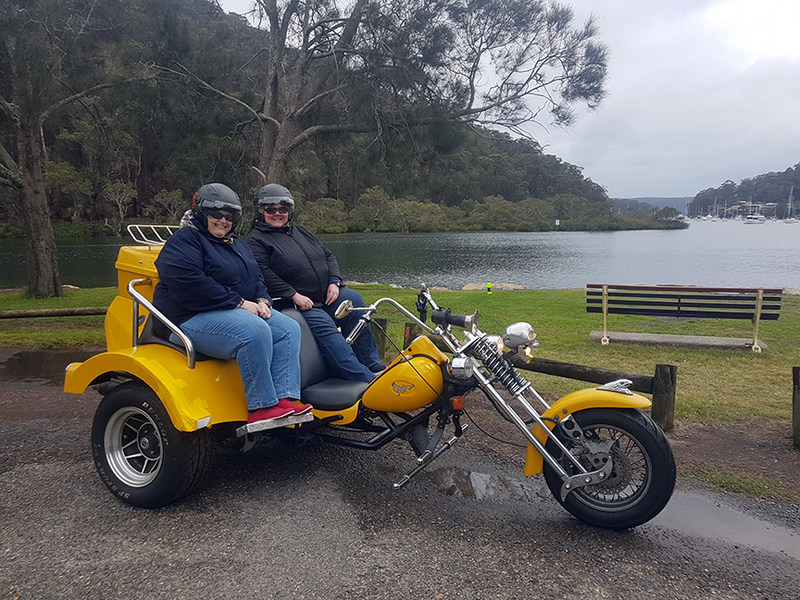 A fun trike ride was a great start to the birthday celebrations!